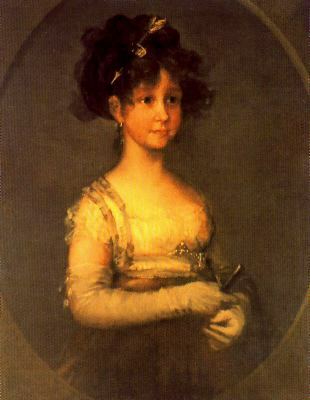 María Isabella was born in 1789 as the daughter of King Carlos IV of Spain and his wife Maria Luisa of Parma at the Royal Palace of Madrid. She was their eleventh child. She was a spoilt child, and her education was quite basic. Her first offer of marriage came in April 1801 in the form of Napoleon Bonaparte. This marriage did not happen, and instead, her mother wished for her to marry her first cousin, the future Francis I of the Two Sicilies. He was still married at the time, but his wife, Archduchess Maria Clementina of Austria died of consumption later that year. A double marriage was now set to take place. María Isabella would marry Francis and her brother, Ferdinand would marry Maria Antonia of Naples. On 6 July 1802, her thirteenth birthday, she married Francis by proxy, while her brother stood in for the groom. Francis brought over his sister personally, so the two were married in person on 4 October. They finally departed for Naples on 12 October. She was just fifteen years old when her first daughter, Luisa Carlotta, was born. She did not take part much in politics. 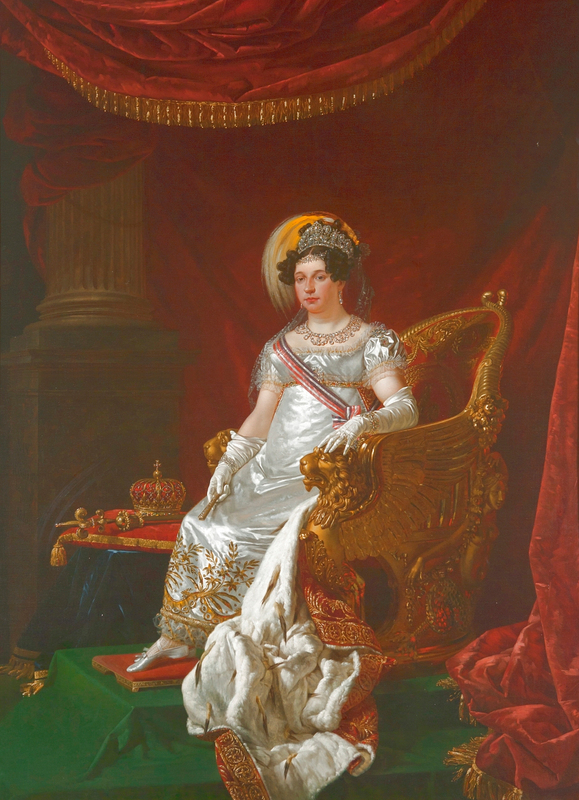 She was forced to flee from Naples to Sicily in 1806 with the rest of the royal family when Napoleon’s forces occupied the Kingdom. 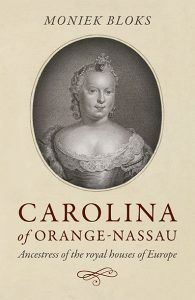 In 1812 her husband was appointed regent while still in exile. 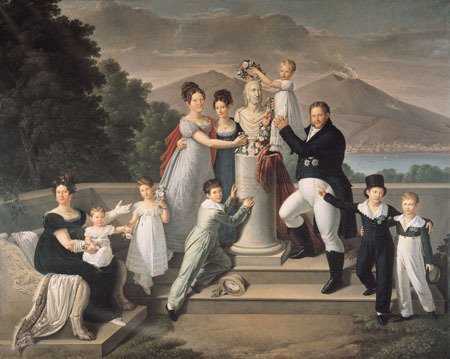 Her father-in-law returned to Naples under Austrian protection in 1815 and joined his two kingdoms into the “Two Sicilies”, and she became Duchess of Calabria when her husband was created Duke of Calabria as heir of the combined Kingdom. Between 1804 and 1827 she gave birth to twelve children. Her father-in-law died on 4 January 1825 and Francis, and she became King and Queen. He was considered to be weak in character and body, and he left the government of the Kingdom in the hands of his prime minister. 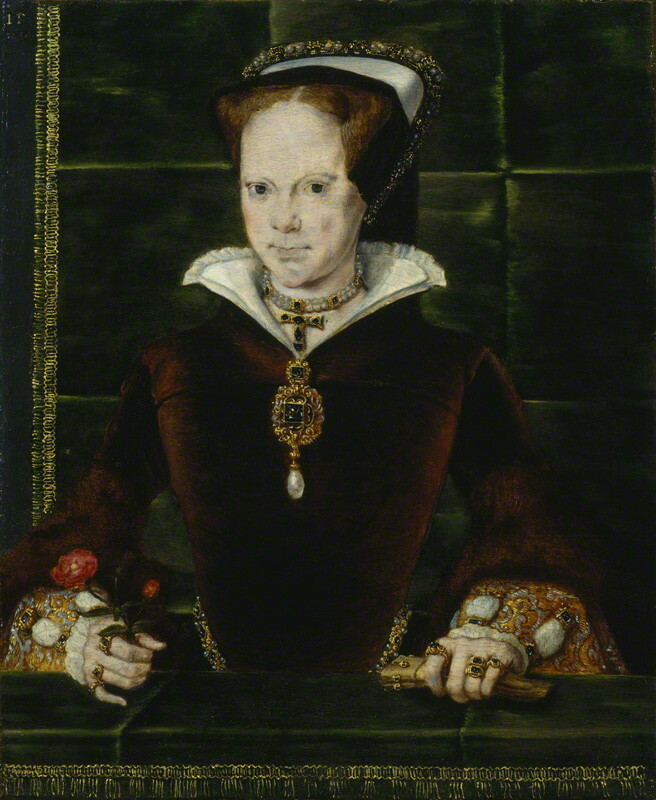 María Isabella was more popular than her husband, but her frequent childbearing had left her very overweight. Francis died quite suddenly on 8 November 1830. Her eldest son, Ferdinand, was now King Ferdinand II, but theirs was a cold relationship. María Isabella had a weakness for handsome young officers, and according to court rumours, she took lovers. In 1835 she began an affair with a married Austrian officer, Baron Peter von Schmuckher. His wife conveniently died in 1837, and she wished to marry him. He wished to receive the style of “Royal Highness” and was suddenly rejected by María Isabella, who asked her son to get rid of her former lover. In 1836 she pleaded with her eldest son to forgive his younger brother, the Count of Capue when he contracted a morganatic marriage, but her efforts were fruitless. He remained in permanent exile in England. María Isabella was also determined to remarry, and her son gave her a list of suitable noblemen. She ultimately selected Francesco, Count del Balzo dei Duchi di Presenzano, who was 16 years younger. They married on 15 January 1839, and they had no children. They retired from court and lived at the Palace of Capodimonte. She died on 13 September 1848 at the age of 59 and had remained popular until the very end.